Born in Northern Italy 1979, Patrizio Belcampo moved to Edinburgh in 2003. He became a member of Edinburgh Printmakers in 2005, and in 2011 he graduated in Drawing and Painting at Edinburgh College of Art. His work explores literature, material history and the decorative arts, though his main objective in printmaking is not the illustration of concepts borrowed from those disciplines, but the creation of well-resolved images through close engagement with technique. He says: “Colour, quality, movement of a line, and the overall composition and visual impact of an image, are what my prints are about.” Patrizio has exhibited in Scotland with the Royal Scottish Academy, the Society of Scottish Artists, Edinburgh Printmakers and the Royal Glasgow Institute of the Fine Arts. 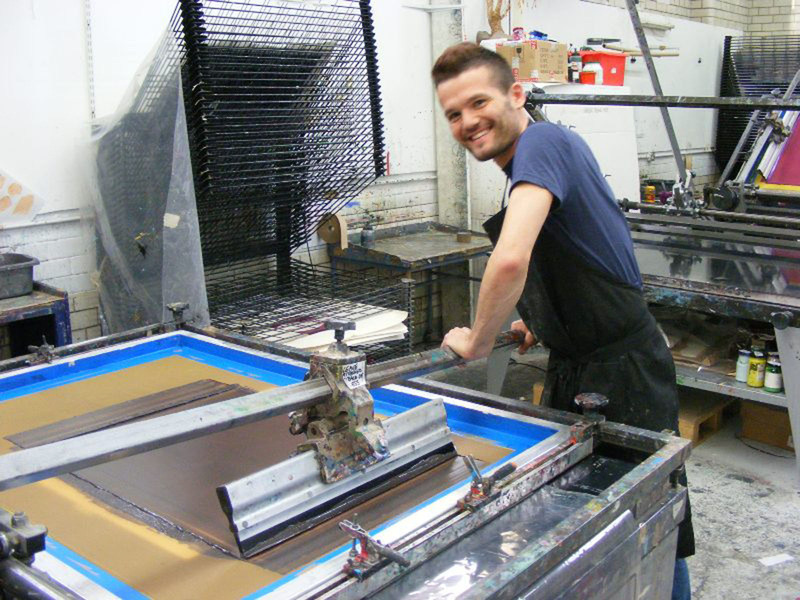 He has also showcased work at major Art Fairs and the London Original Print Fair.